Aly Tetzloff is no stranger to the coaching sphere. Having trained under some of the most renowned coaches in the country, Aly has learned far more in her time at Auburn than just how to perfect her own swimming. Crediting her parents, coaches, and trainers for much of her success as an athlete, Aly also admits to observing them as mentors for her own teaching style, a perfect mosaic off all the strategies that have worked for her. 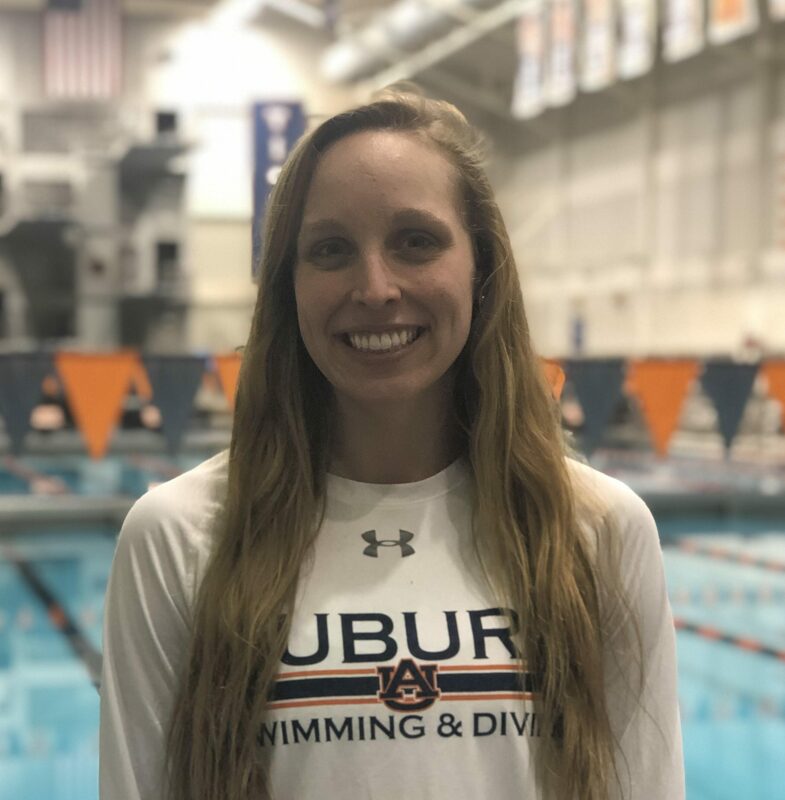 This process of “giving back” started at her local club team and the Auburn swim camps, where Aly discovered a passion for teaching aspiring collegiate swimmers. With a strong background in technique and stroke mechanics, Aly is able to break down the major components of each race to develop unique, detailed plans for participants. Aly’s eagerness to impart this knowledge in an engaging manner makes her especially effective with younger swimmers, something she credits to her own experience. This athlete-coach interaction is what’s most important to Aly, a part of the swimming experience that she claims can be the difference between “good” and “great” swimmers. This formed a major pillar in Aly’s own experience, something she calls “taking ownership of her swimming.” Aly wants to impart a certain level of responsibility on her swimmers, encouraging them to take on active, informed roles in their training regimens to stay motivated. 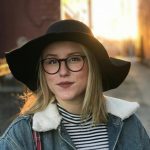 By encouraging dialogue between herself and her participants, Aly hopes to create an environment in which swimmers feel comfortable advocating for their specific needs. This interpersonal relationship is precisely what Aly finds so beneficial and special about the sport. With an emphasis on streamline and underwater efficiency, Aly’s clinic is perfect for anyone looking to obtain detailed, thoughtful critiques. 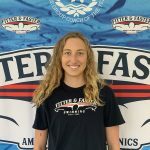 Preaching repetition and consistency, Aly’s close and recent experience in racing makes her a knowledgeable and empathetic teacher, one who cares deeply about her swimmers’ success. Do you want to understand what it takes to swim at the top collegiate level while also having a blast? Sign up for a clinic with Aly, now!